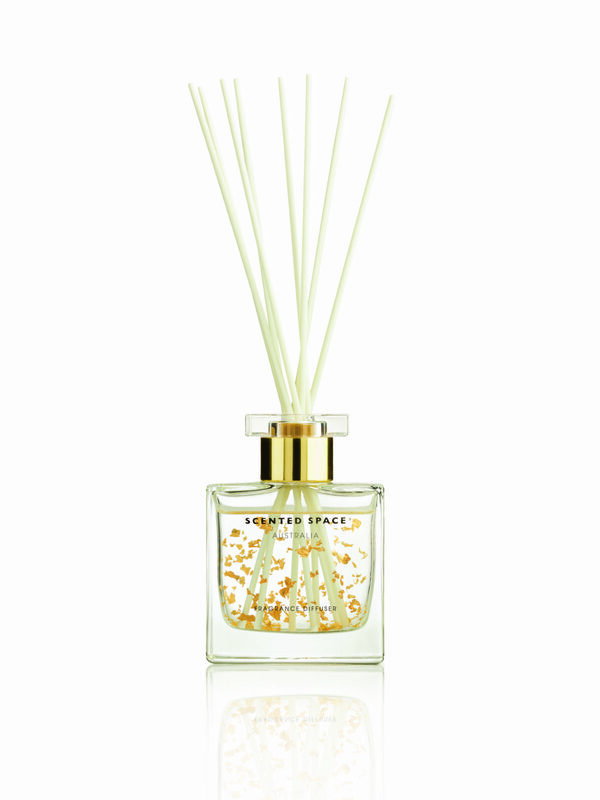 Leading Australian home fragrance company, Apsley & Co have announced a world first – The Scented Space® decorative fragrance diffuser with 24-karat gold suspension. This scented diffuser is set to dazzle with its unique beauty and a touch of bling. Gold’s rich history, exuding luxury and lush sensuality leaves no doubt as to why this metal was established around feelings of indulgence and opulence. Encompassing a delicate premium home perfume, the Scented Space® signature bottle is the perfect vessel to showcase the glittering gold suspension. The packaging is distinctive, elegant and luxurious. Inspired by the gold gilt, and using delicate golden brush strokes, the diffuser is boxed so consumers can see the beauty of the product on the shelf. Gold also symbolises wealth, happiness, love, and luxury and Apsley & Co have encompassed all these qualities in a stunning little package. An attention grabbing statement piece – this diffuser is the perfect addition to any home or office space. Available at selected retailers nationally. Posted in New Products and tagged business, decor, design, diffuser, furniture, gold, home, industry, interiors, new products, office, scented, space. Bookmark the permalink.